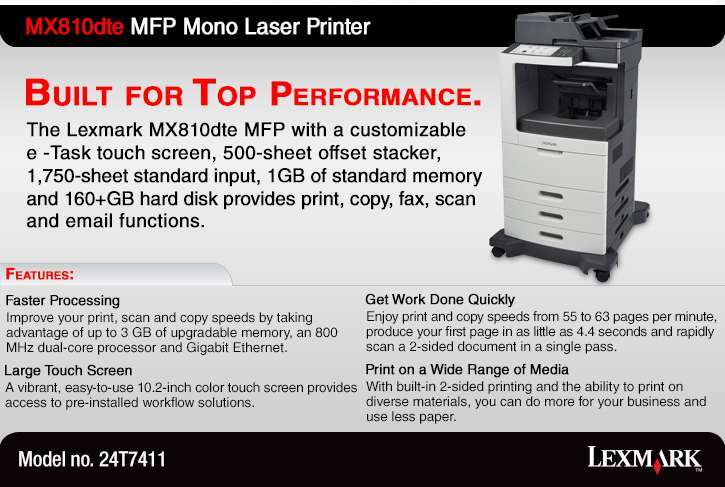 Choose the Lexmark 24T7411 MX810dte MFP Mono Laser Printer for versatile and efficient performance. 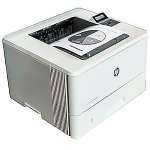 This printer allows you to fax, copy, scan, and print documents in a single body. It has an Integrated Duplex capability so you don't need to manually reinsert pages to print the second side, saving your time and effort. 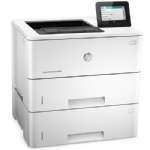 Get clear, crisp, and professional-looking documents as it features a 1200 x 1200 dpi effective output. 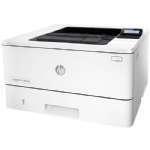 Check the status and adjust the printer's settings on its LCD Display. Enjoy sharing and transferring files with ease with its built-in Gigabit Ethernet feature. You can edit and preview your documents before printing to ensure you only print what you need. 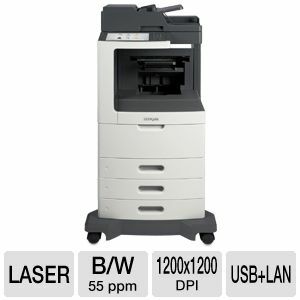 Purchase the Lexmark 24T7411 MX810dte MFP Mono Laser Printer now!